In a few days, it will be October 1. It’s the biggest anniversary date at Walt Disney World. Among other milestones, Magic Kingdom Park will be 42 years old and Epcot will be 31 years old. 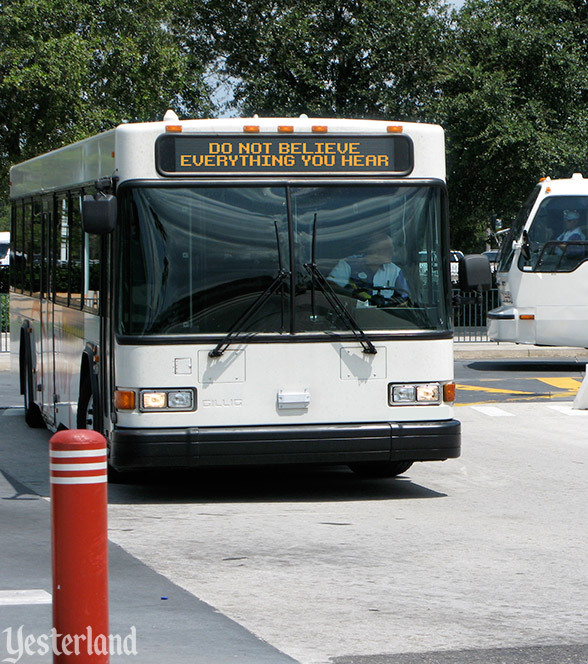 Back in the days when Walt Disney World bus drivers often provided their own commentary to passengers, I heard an interesting theory about the significance of October 1. I was on a packed Walt Disney World bus. We were heading into Disney’s Old Key West Resort from Epcot after the Illuminations fireworks show. Initially, nobody answered. “Any guesses?” the driver asked. Okay. I wasn’t 100% sure of that, but I vaguely remembered something along those lines. The real story is that sixteen-year-old Walt Disney wanted to enlist in the U.S. Army during World War I, but was too young. So he lied about his age and enlisted in the American Ambulance Corps of the Red Cross. Young Walt arrived in France in November 1918, just shy of his 17th birthday. On October 9, 1919, after eleven months of overseas service, homesick Walt returned to the United States. His official discharge from the Ambulance Corps was the next day. There was nothing dishonorable about it. And it wasn’t October 1. 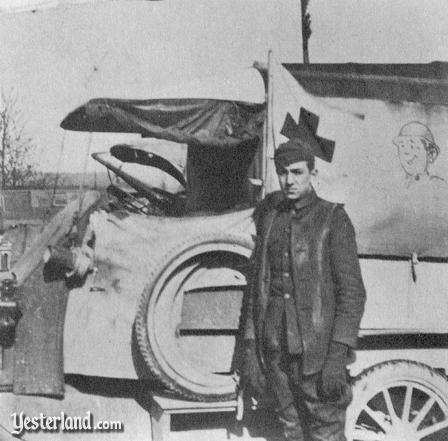 The urban legend may have its origin in a 1919 photograph of young Walt Disney in front of a canvas-topped ambulance decorated with one of his cartoon drawings, which was presumably mistaken for an Army truck. 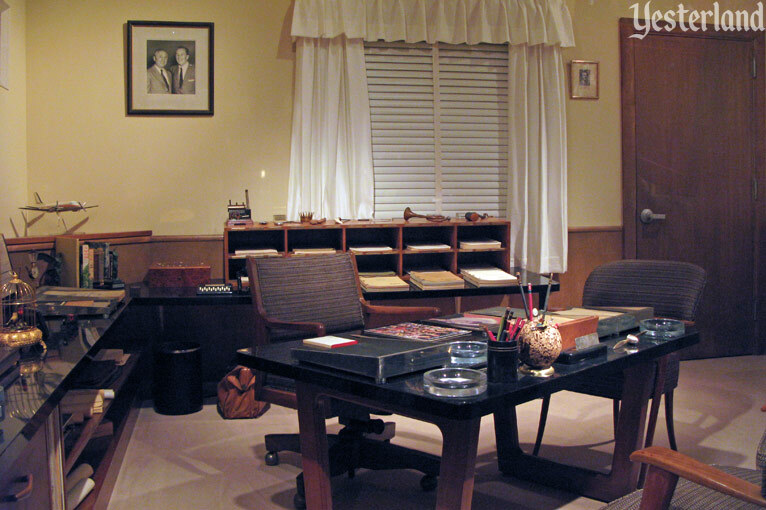 According to the urban legend, Walt Disney had his discharge papers hanging upside down in his office. Somehow, this “fact” is supposed to make the dishonorable discharge story credible. Oh, and Disney-MGM Studios actually opened on May 1, 1989, not October 1. The myth that Walt Disney received a dishonorable discharge from the military is one of those widespread beliefs that will not go away. In a June 2008 MousePlanet article about “World War One Walt,” Disney historian Jim Korkis (under the pseudonym Wade Sampson) wrote that the false story was told to visitors on official tours of the Pentagon and shared with recruits in basic training. No wonder it’s so engrained! Preparing this update, I founded numerous claims of Disney’s “dishonorable discharge” on the Internet. I was amused by the variations. Apparently Walt was dishonorably discharged from the Army, Navy, Marine Corps., and Coast Guard—despite having served in none of them. Here are some of the claims I found on websites and discussion forums. I edited some spelling, punctuation, and typos to make them readable. Good Old Walt Disney got a Dishonorable Discharge and it was always framed on the wall behind his desk when he appeared on TV, for example, during the Wonderful World of Disney. He did this so that he could not be accused of hiding his past. [Walt Disney] received a dishonorable discharge for cowardice in face of the ememy & proud of it. He had it gold framed & proudly diplayed it over his desk on the Sunday night Wide World of Color TV series. From his biography. [Walt Disney] was dishonorably discharged from the army for bad conduct. I believe he also did time in Leavenworth for something. Walt Disney had a dishonorable discharge from the USN. On his Wonderful World of Disney program, he had the certificate framed and mounted on the wall behind his desk. When word got out what the certificate was, the Navy offered to change his status to an honorable discharge, but Disney refused. Fun fact - Walt Disney was dishonorably discharged from the military for lying about his age when he enlisted. As a result he was never allowed to own land in the US and it is actually Roy Disney’s family that owns the land that Disneyland has been built on. Walt Disney was fired as a newspaper reporter because he was not a “creative thinker.” And did you know that he was also given a dishonorable discharge from the United States Marine Corps School? I believe Walt Disney received a dishonorable discharge from the military, and people said he would fail, but he proved them wrong. He was ahead of his time. Well Walt Disney had a dishonorable discharge from the Army and he did pretty well. The interviewer was pointing at Walt Disney’s Dishonorable Discharge from the U.S. Army. Until recently, any Marine, no longer serving on Active Duty or in the Reserves was a “Former” Marine. A few of those were “Retired” Marines. The term “ex-Marine” is considered derogatory and only used to describe those given a Dishonorable Discharge, like Mr. Walt Disney. As an ex-Coasty I find it interesting that Walt Disney was in the Coast Guard and was dishonorably discharged. He kept the document hung upside down on the wall behind his desk. Mickey Mouse (originally Steam Boat Willy) was actually modeled after a Coasty to reflect Disney’s views of that branch of the service. [Walt Disney] was also DISHONORABLY discharged from the service. Anyone know why? A lot of people think they know why.